Juventus Transfers: Marotta's Mercato Madness or Magic? You are here: Home » COVER STORY » Juventus Transfers: Marotta’s Mercato Madness or Magic? Juventus Transfers: Marotta’s Mercato Madness or Magic? An underwhelming 2010-2011 Serie A campaign for Juventus signaled an active and busy summer transfer market for the Bianconeri ahead of the 2011-2012 season. After successive years of finishing in a disappointing seventh place in the league, sporting director Giuseppe Marotta was expected to splash the cash on reinforcements to the side. Gigi Del Neri was unceremoniously sacked and in came Juve legend Antonio Conte. This mercato, the objectives were clear and well established – Find solutions to the obvious flaws while improve the general quality of the team. Since the demotion to Serie B, Juve have lacked top class fullbacks which once boasted of talents such as Zambrotta, Thuram and Torricelli. Embarrassingly though since the infamous calciopoli scandal, Juve have witnessed unimpressive and frankly catastrophic players like Zebina, Grygera and Molinaro occupying the fullback area. None of these players have the caliber or the quality to play for a club like Juventus. Potent fullbacks form one of the most vital ingredients in modern day football and their impact cannot be understated. To rectify the various issues that Juve have been facing at fullback, Beppe Marotta purchased Swiss Internationals Stephan Lichtsteiner and Reto Ziegler from Lazio and Sampdoria respectively. Juve's very own Swiss Guard. The Swiss pair have considerable Serie A experience and can perfectly slot into the fullback positions for the Bianconeri. Lichtsteiner, in particular, has been lauded for his impressive outings for Lazio. ‘Forrest Gump’ as he is aptly nicknamed has been one of the top right backs in the peninsula ever since his arrival from Lille. His signing from Lazio for around €10 million represents a great deal by Marotta. 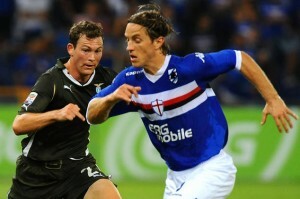 Lichtsteiner will offer solidity, pace and stamina to the right Juventus flank along with seemingly tireless running. He’s also more than a handful going forward and will support Milos Krasic in attack. The two have displayed excellent chemistry in pre-season and have combined well which could be a positive sign of things to come in the new season. The recruitment of Reto Ziegler will offer depth to the left back position. Ziegler has been on Marotta’s radar for quite some time now and following Samp’s ill-fated relegation to Serie B, the transfer guru wasted no time in snapping him up for free. Ziegler may not be first choice for the left-back role but will give Juventus a strong and able back up. Paolo de Ceglie will, in all probability, be given the nod over Ziegler as first choice following his strong performances last season but the latter will provide depth to a position which has fallen worryingly short of quality in the last few years. No more will Juve fans have to go through the torment of witnessing mediocre players like Molinaro, Zebina and Grosso ‘defending’ the fullback territory. The Achilles’ heel in the Juve defence will now have a reliable duo in Lichtsteiner and Ziegler. The added pressure on the central defense caused by the incompetence of the fullbacks will decrease consequently. As was seen last season, Barzagli and Chiellini were often called upon to cover for the shortcomings of the fullbacks thus leaving a lot of space to be exploited. A department which has looked fragile in the past looks promising ahead of the new season. Juventus also exercised their purchase clauses on Alessandro Matri, Fabio Quagliarella, Simone Pepe and Marco Motta for a sum in the region of €37.5 million. While Matri and Quagliarella were exceptional last term and their signings were never in doubt, questions have been raised over Simone Pepe and Marco Motta. Pepe may not be the most talented of players but his utility may have played a role in Marotta’s decision to sign him permanently. The former Udinese man can play in a variety of positions – in midfield, as a second striker and even played at fullback last season. It’s this versatility that has persuaded Marotta to splash out €7.5 million on him. A figure that doesn’t match the quality of the player, a figure that is definitely a tad bit too much. Marco Motta’s last season at Juve was nothing short of a disaster. The right back failed to deliver whenever called upon and he was given plenty of chances to prove himself by Del Neri. The former Roma man, who showed a lot of promise in the past few years was seen as a potential long-term solution to Juve’s problematic right back position. Instead he has failed horribly, putting in miserable shifts. 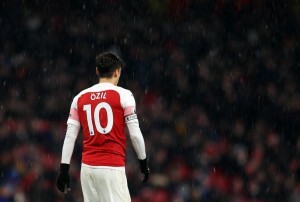 It remains to be seen if he will be offloaded or used as a sweetner in future deals. For now though, it doesn’t look like he’s going to vacate Vinovo and could find himself as a part of Conte’s plans. One of the few bright spots from last season was the blooming partnership of Alberto Aquilani and Felipe Melo. The pair complimented each other wonderfully. Aquilani, who was on loan churned out performances better than most of the squad and looked like a quality signing. However, Marotta decided against paying his buy-out clause and also loaned out Melo to Galatasary, thus breaking one of Serie A’s best partnerships. In came Andrea Pirlo from Milan and Arturo Vidal from Bayer Leverkusen. Pirlo has unquestionably been one of the most influential players of his generation. A midfield maestro and the architect of many victories for Milan and La Nazionale. Pirlo has been in a class of his own but at 32 years of age many feel he’s past his prime and a bit too slow in possession. 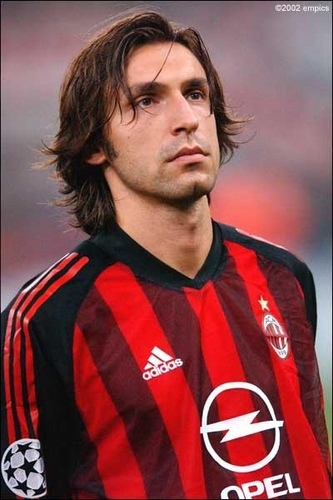 Pirlo possibly has a couple of good years in him but his fitness has dropped alarmingly having made a paltry 17 appearances last season for the Rossoneri. His arrival for free though is a fine deal by Marotta. Can he replicate his Milan form for Juve? Arturo Vidal is another fantastic signing by Juventus and could well be the jack of all trades in Serie A. His versatility means he’s a prototype of a modern footballer in every sense of the word. Vidal was stastically the most outstanding midfielder in Bundesliga last season. His ability to play almost anywhere across midfield with consistency is an asset to any manager. Vidal will partner Pirlo in midfield in what is expected to be a 4-2-4 formation. Here he will have to cover immensely for Italian International and will give him the freedom to perform his magic. The 4-3-3 formation though might well be the best option for all parties involved. Pirlo be protected by Marchisio and Vidal. Conte will also get the best out of the trio especially Marchisio given the fact he’s been used out of position the last couple of seasons. Indeed the 4-3-3 will play to the strengths of all the players involved and the midfield will not be over-run as can be the case in a 4-2-4 containing Pirlo. Michele Paziena is another arrival that will offer depth to Juve’s central midfield. Mirko Vucinic also joined the Old Lady for €15million. The former Roma man was signed after Marotta failed to conclude deals for Sergio Aguero and Giuseppe Rossi. Marotta’s ability to close the deal on bigger players has often been questioned in the past, having missed out on Edin Dzeko and Giampaolo Pazzini in January. The third choice then Alessandro Matri went on to have a great season. Juve fans will be hoping the third choice now Mirko Vucinic too will go on to have many good seasons with the Bianconeri. Vucinic is perhaps one of the most moody players in Europe. When on form, he can regularly inflict damage to his opponents, when not, he’s an emphatic disappointment. It has been widely rumored in that two more signings will complete Juventus’ transfer activity. A left-winger and a centre back are possible additions with names such as Vargas and Elia circulated as possible contenders for the left wing. Chelsea’s Alex, Fenerbache’s Lugano and Porto’s Rolando are touted as possible centre-back options that Marotta is considering. While Vargas and Elia are talented players in their own right both are also awfully inconsistent. Vargas from Fiorentina could be the more viable option for Juventus and is said to be preferred to Elia by Antonio Conte. His Serie A experience would come in handy and could slot in easily to Juve’s left side. Blessed with a hammer of a left foot, few wingers in Italy are as effective as Vargas is on his day. It is reported that Fiorentina would be ready to cash in on him and he would be available for €15 million. Elia from Hamburg is an inverted winger, one that is renowned for his dribbling and natural pace. He’s found wanting though defensively and may find hard to adapt to Serie A. Hamburg are prepared to sell him for €10 million but his wages don’t seem to be in tune with Marotta’s proposal. Instead of unnecessary spending, Marotta may have a gem of a player in his own backyard in Cristian Pasquato. The Juve youth product has raised eye-brows with his pre-season performances and definitely has the ability and potential to make the left wing slot his own. A solid and experienced centre-back signing could be on the cards as well. Right now, Lugano seems to be Juve’s first option and would be ideally be the most suitable one. A leader, something which lack in the heart of the defense, coming off an extraordinaty Copa America, Lugano could offer Juventus a good couple of years. He can also guide Leo Bonucci and practically take him under his wing. The Uruguayan captain would also be the most economically astute deal among Marotta’s options. Alex could be seen as a possibility but his wages and Chelsea’s valuation of the player don’t match Juve’s. While Rolando’s agent has claimed contact has been made between Porto and Juve and the player is keen on a move to Italy. For now though, things are as optimistic as ever. Two more signings may well conclude Juve’s mercato and a side possibly strong enough to qualify for the Champions League will have been built. As players arrive, there are certain players that need to pack their bags and find new homes for themselves. Players that are surplus to Juve’s needs. An indepth analysis of those players can be found here.